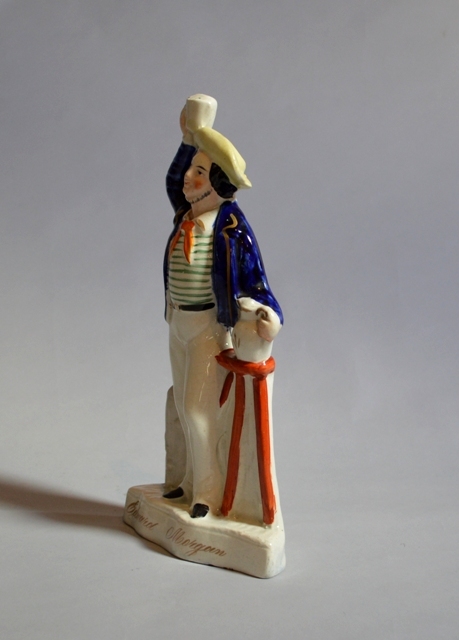 A Victorian Saffordshire figure of Edward Morgan. 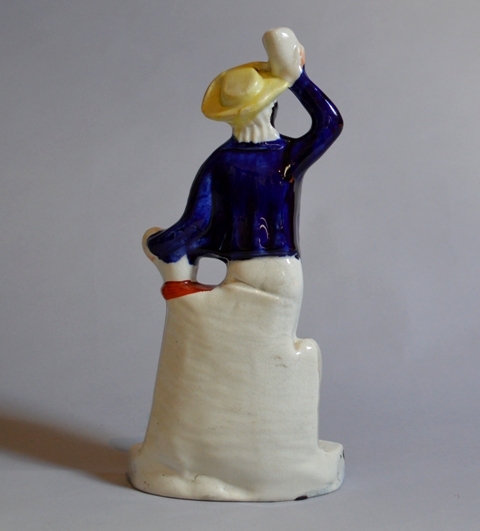 A Victorian Staffordshire figure of Edward Morgan, standing, in sailor’s dress, his left hand holding a jug on a cricket table, his right hand holding a mug of beer above his head. Edward Morgan was a ploughman from Llangollen, North Wales who joined the Navy and fought in the Napoleonic Wars, before returning to Llangollen to marry his child hood sweet heart Jenny Jones.